We offer a wide selection of Stockbridge storage units for rent that will give you the extra space you need while searching for a new home or clearing the clutter from your home or business. Outdoor enthusiasts feeling buried by their sporting equipment will love our budget-friendly 5X10 units to keep everything safe yet accessible 365 days a year. Whether your business is bursting at the seams or you need just a little extra space for inventory or equipment, we can help with 10X15 or 15X25 drive-up storage units. With commercial storage units as large as 30X30 that offer 900 sq. 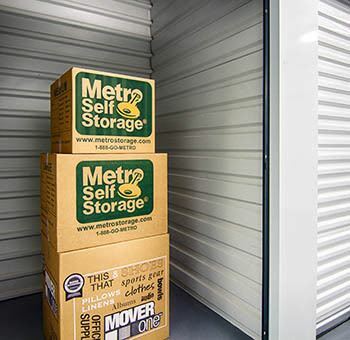 ft. of warehouse space, competitive storage rates, and commercial vehicle storage options, there is almost no limit to what you can store with Metro Self Storage. Are you looking for boat storage near Blalock Reservoir or Stockbridge RV storage? Metro offers exterior parking spaces as well as indoor vehicle storage for compact and classic cars, motorcycles, kayaks, and more. We invite you to stop by, and one of our knowledgeable storage team members will help you find the perfect storage solution. Call a member of our Stockbridge self storage team to learn more about finding the perfect business storage solution for your company today. Whether you are moving to Stockbridge from Atlanta or relocating from across town, Stockbridge is a great place to live, work, and play. As a new resident you can look forward to enjoying weekends at Panola Mountain State Park and, when the weather is too humid to be outside, Henry County’s popular South Point Mall is a great place to shop and dine. 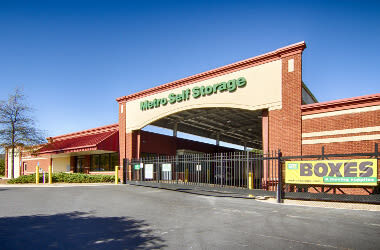 With more than 40 years of industry experience, you can count on Metro Self Storage to offer customer service second to none. 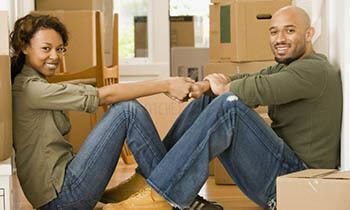 We strive to exceed your expectations and want your self storage experience to make life easier.